PPD executive Fred Eshelman rings the NASDAQ bell Thursday morning, a carefully orchestrated media event to mark the PPD’s 25th anniversary (optional confetti $500, balloon drop $4,000). If the name Eshelman rings a bell it’s because he’s the force and the finance behind RightChange.com a conservative political committee active in the 2008 races run with NC State Senator Fletcher Hartsell and State Representative Jeff Barnhart of Cabarrus County. Their most recent contribution to political dialog was “Attack of the 50 Ft Pelosi”, a cartoon world where Democrats have long skinny necks and Conservatives have none. In the past 10 years PPD has been awarded over $600,000,000 in federal government grants and contracts. Between 2006 and 2008 Cabarrus Community Health, of which Hartsell is the founder and Barnhart is the Director, received $1.9 million in federal grants. These benefits do not appear to constrain RightChange’s founders from railing against government spending. Now Eshelman has teamed up with Durham attorney John W. Marin and Lumberton businessman Murchison “Bo” Biggs to create a North Carolina focused conservative attack machine called “Real Jobs NC, Inc”. Biggs is a veteran of the North Carolina Retail Merchants Association and a director of the NC FreeEnterprise Foundation. There has been little visible activity since filing in May with both the IRS as a 527 political committee and NC Secretary of State as a non-profit corporation. 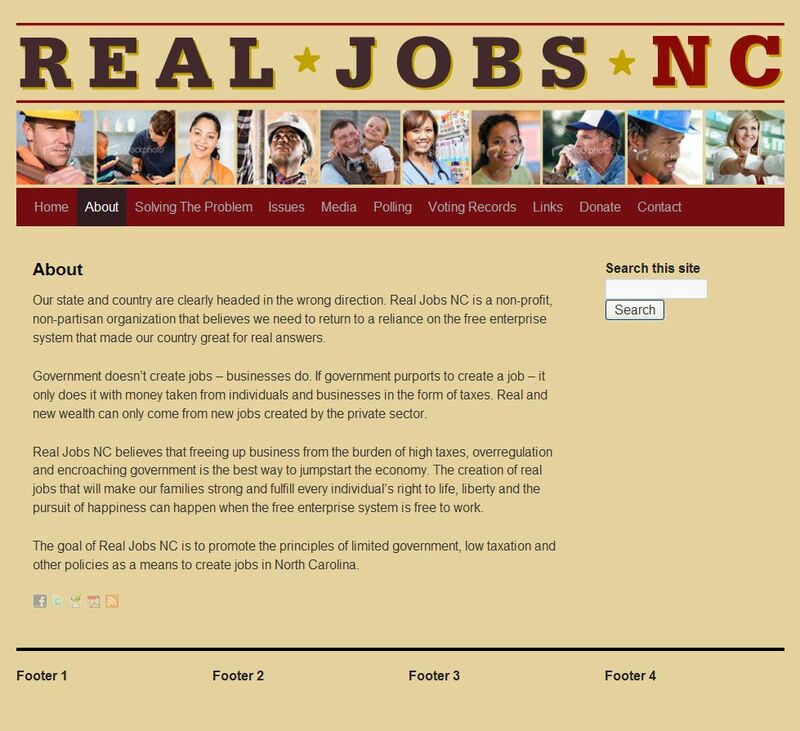 Real Jobs NC has acquired some domain names and while the sites are apparently inactive, one domain is running a test site in a sub-folder*. The principal office of the corporation Real Jobs NC, Inc is listed as 3901 Barrett Drive, Suite 202, Raleigh. While domain name registration for RealJobsNC.com and RealJobsNC.net are private, the domain name registration for RealJobsNC.org lists Calvin Kirven of Continental Communications as the registrant and admin with a mailing address of PO Box 20875, Raleigh NC 27619. Continental Communications is a public relations and association management firm with an address at 3901 Barrett Drive, Suite 202, Raleigh and the same PO Box for mailing. The mailing address and the physical address are also those of the NC Landscape Contractor’s Registration Board of which Kirven is the Executive Director. It seems highly irregular that the offices of a State Board also house a political committee. 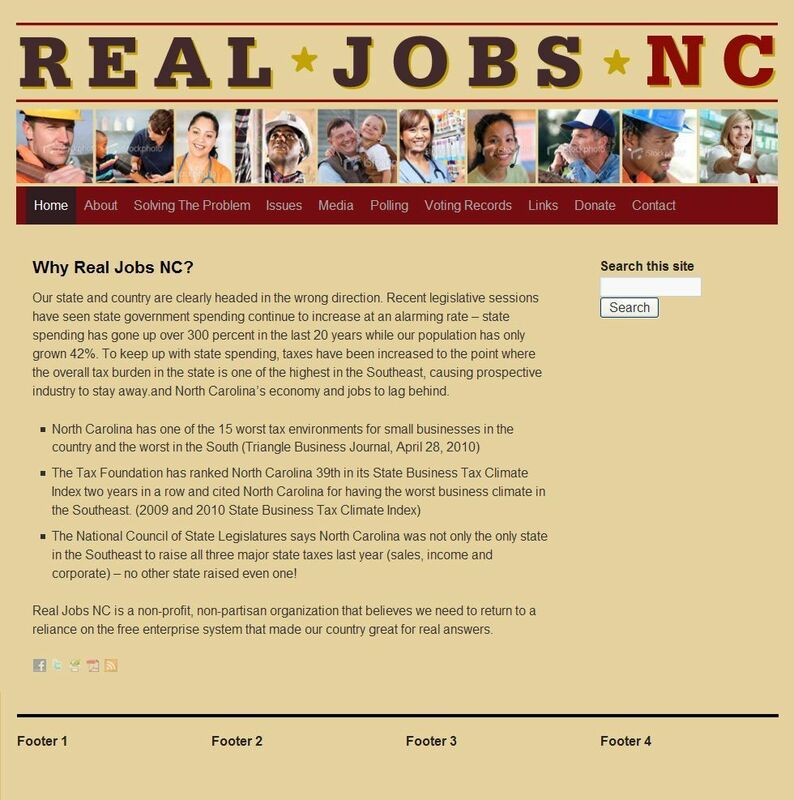 The test website of Real Jobs NC* provides some insight with rhetoric about tax burdens and free enterprise in NC. 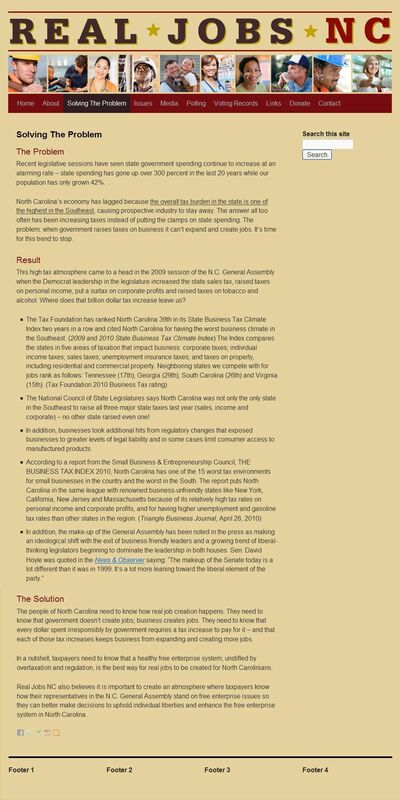 One link points to a poll targeting Representative Cullie Tarleton by Carolina Strategy Group, a political consulting firm started by Representative Barnhart, Republican consultants Paul Shumaker of Granite Falls, Mark Lisella of South Carolina, and Raleigh attorney/lobbyist Roger Knight. Barnhart is still listed as the group’s registered agent though an incomplete filing by Knight strikes Barnhart’s name and lists the address of Shumaker’s Raleigh office. In prior filings with the Ethics Commission Barnhart noted his connection to lobbyist Roger Knight but more recently has dropped any reference to Carolina Strategy Group. In another curious filing in May Eshelman, Hartsell and Barnhart registered another NC corporation called RightChange.com II. The listed agent is Paula Hopper a Durham attorney/lobbyist. This is distinct from the entities RightChange.com, Inc. and RightChange.com Political Action Committee, Inc.
Perhaps after Fred Eshelman rings the NASDAQ bell PPD will magnanimously return the more than $600,000,000 received from the government so that we can create some more real jobs in NC and not off-shored to the 41 countries that PPD operates in. Home: Why Real Jobs NC? The UNC School of Pharmacy is also named after him. Freddie did a recent “keynote” address (available online and on Wilmington’s TV station) for the once promising Cape Fear Future effort started 4-5 yrs back to help secure more “knowledge” oriented industries and workers to Greater Wilmington (which for years has suffered in the economic development/jobs creation arena due to the inept, dated and self-serving nature of Wilmington Industrial Development). WID pays their “CEO” $300K plus. And they collect $600K per year in TAX PAYER money from 4 different govt entities. Yet they claim to be a “private” organization, and basically all they do is run a dated web site for heavy industry sites sitting outside city boundaries like relics of their Polluting History with the Chemical Industry in particular…..and recently they showed that they entered the 21st century economy by working to secure a cement mining and production facility alongside the Cape Fear River..only a few miles up from Freddie’s gleaming PPD Tower that is helping to at least revitalize the downtown. So back to Freddie’s Keynote—it was awful—he came off as a tool of the WID Heavy Industry Boys, singing from their hymnal that basically justifies their need to bring in heavy industry polluters due to the uneducated workforce of their past (when everyone here was from Wilmington, that was true…but the workforce is very different than what the WID boys pander to. And somehow Fred played the pandering message as if WID was leaning on him, or as if he owed them a favor of some sort? A really whacked out crowd, I gotta tell you.